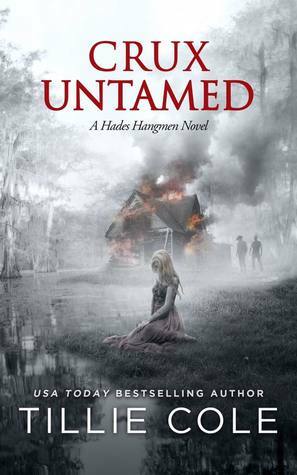 CRUX: is the sixth book in Author Tillie Cole’s ‘Hades Hangmen’ series. A dark contemporary MFM romance. This picks up exactly where ‘Damnable Grace’ left us off. 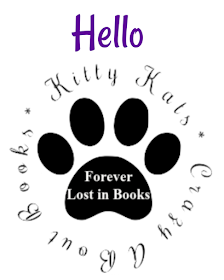 This is Elysia ‘Sia’ Willis, Valan ‘Hush’ Durand and Aubin ‘Cowboy’ Breaux’s story. Sia is Ky’s sister which you would’ve already encountered in past books within this series. PAST: Seven years ago whilst in Mexico Sia loved a man, she knew he wasn’t perfect, but she’d fallen for him so hard and so fast, but he wasn’t the man she thought he was, this man was pure evil, the devils incarnate. He’d ruined Sia for anyone else. PRESENT: Sia the fiesty blond is hiding out at her ranch in Austin, Texas, under a new identity, she’s been safe for years, but a visit from her brother and Ky put an end to that. The Diablo Prez had gotten word out that Garcia had sent men to sniff out Sia and he was closing in. Ky explains that she would be better off at the compound under the clubs protection. Getting restless though Sia can’t wait to get back home to her ranch where her horses are Ky’s not that happy about this but she decides to take Hush and Cowboy the two men who always made her feel safe and knows they will protect her when necessary. To say we’ve all been intrigued by this duo (Cowboy & Hush) is an understatement, we all wanted to know their story and wow what a story it is!! This book destroyed me, Hush’s story is so gut wrenching it pulled so many emotions out of me. Both twenty six these notoriously private Cajun twosome Hush and Cowboy have such a strong unique undeniable bond, they both come from a tiny town in the middle of nowhere, Louisiana these two have known each other since the age of sixteen, bad blood and horrific circumstances brought these two together and since then a bond like no other had been forged. Neither can live without the other. 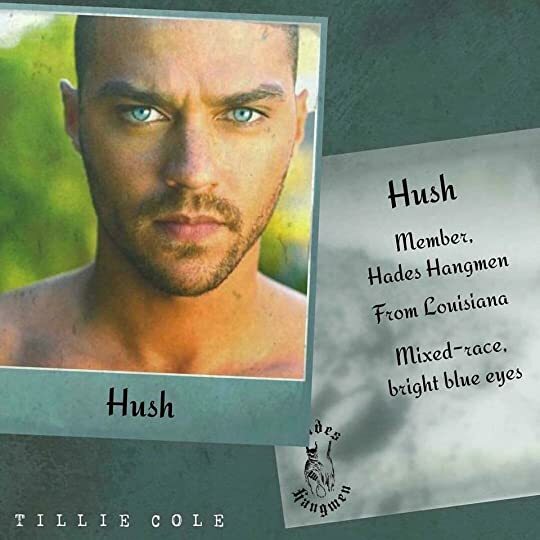 Hush’s mother was Swedish with blond hair and stunning blue eyes and his father was a black musician from Mississippi which is where Hush gets his unusual colouring from. Hush always felt like he wasn’t good enough, he didn’t fit in the white man’s world or the black man’s world, always on the outs although he’s slowly making a home for himself within the mother chapter of the Hangmen. Both realising that they are attracted to her and vice versa, Cowboy with his flirtatious ways and Hush with his broody silent scowls crawled under Sia’s skin, she’d heard the rumours about them but hearing about them first hand from Cowboy made her wonder if maybe just maybe they would love her that way. And this is where the true magic starts happening, it’s done in such a beautiful way, slowly we see a love blossoming between the three of them, Hush crawls into your heart so far there is no dislodging him. I was team #Flame but #Hush stole my everything, my tears, my sighs, and in the end my love. This was such a crazy, epic, heartbreaking, unputdownable, soul crushing read! My review won't do justice to this book because I can't put into words how much this book impacted me, such hatred for a mixed race, a man who was such a gentle soul who had been through so much in his life captured my heart, I bled alongside him, I cried for the injustice dealt by cowards hands. 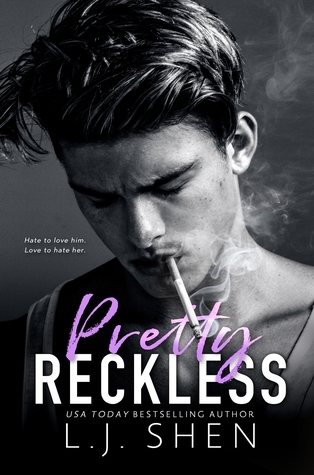 This author has such a way with words, every alpha character is imperfectly broken, they wear their scars on the inside, but not unscathed and flawless on the outside, because each of their skins are marred by their own battle wounds of survival.